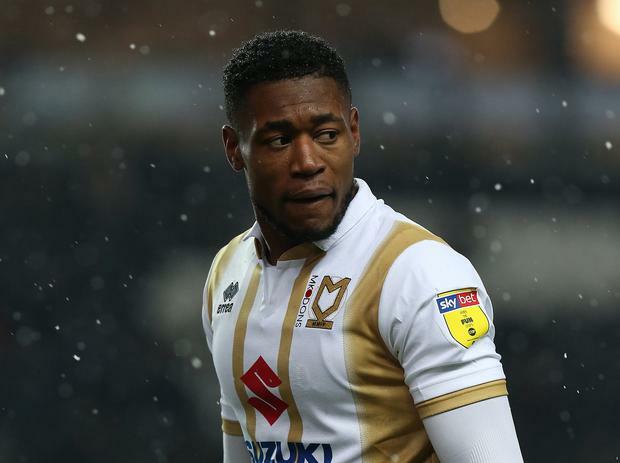 MK Dons say they are "appalled" after their forward Chuks Aneke was the subject of a racist social media post on Sunday. The post was published on Instagram following Dons' 2-1 defeat to Tranmere the previous day and was allegedly uploaded by a Rovers supporter. Dons described the abuse in a statement as "totally disgusting and unacceptable", while in a separate statement Tranmere insist they have a "zero tolerance of hate crime" and say they have referred the post to the police, vowing to impose bans if any of their fans are involved. A statement from Tranmere on Sunday night said: "Earlier this evening, [we] were made aware of a racist social media post which we have already referred to the police and we shall provide them with all of the assistance they require to investigate the matter. Additionally, Notts County have imposed "indefinite club bans" on some of its supporters following social media abuse, with one "particularly malicious tweet" reported to police. The club said a number of comments "overstep the line between fair criticism and vile, threatening abuse." Daniel McDonnell Highly rated UCD pair Neil Farrugia and Liam Scales have been invited to train with the elite youngsters at Manchester City. Independent.ie Newsdesk Robbie Fowler has been named head coach of A-League side Brisbane Roar in his first major managerial role.